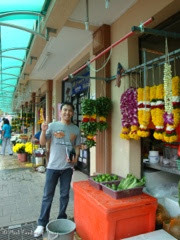 Singaporeans and foreigners like me sometimes or more often visit JB, Malaysia for more affordable shopping, food bites, massage and even movie if you would believe it. Johor Bahru or JB as I am accustomed to call it is just a bus away from Woodlands. Just outside the Immigration building of JB is City Square shopping mall. Thankfully, on my last visit, the renovation has finally finished. As usual I went to Kenny Rogers Roasters to have lunch, watched a movie and had snack at McDonald's. Maybe you're asking why I trouble myself of traveling to JB just to eat at Kenny Rogers. Honestly speaking, my Singapore dollars will go a long way there. Roughly, SGD's value there is 2.4x more. Singapore has a lot of bus terminals designated to go to Johor Bahru and other parts of Malaysia. I suggest that you go to the stations nearest to you. Jurong East (bus 160) - Alight at Jurong East MRT (green line). Walk all way down and proceed to the bus terminal. 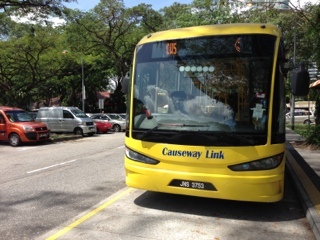 Look for bus 160 and tap in the bus using your ez-link card. Tap out using your ez link card when you reach Singapore's Immigration building. The tap machine will say SUSPENDED. When you take the same bus after you're cleared at the immigration, tap in your ez-link card and the machine will say TRANSFER. Woodlands (bus 950) - Alight at Woodlands MRT (red line). Proceed to the bus interchange and look for bus 950 and tap in the bus using your ez-link card. Tap out using your ez link card when you reach Singapore's Immigration building. The tap machine will say SUSPENDED. When you take the same bus after you're cleared at the immigration, tap in your ez-link card and the machine will say TRANSFER. Kranji (bus 170) - Alight at Kranji MRT (red line). Proceed to the bus interchange and look for bus 170 and tap in the bus using your ez-link card. Tap out using your ez link card when you reach Singapore's Immigration building. The tap machine will say SUSPENDED. When you take the same bus after you're cleared at the immigration, tap in your ez-link card and the machine will say TRANSFER. Yishun (AC7 bus) - Alight at Yishun MRT (red line). Proceed to the bus interchange and look for the AC7 bus. You can pay by cash and ez-link card (both charged S$2). If you pay by cash, keep the receipt as you will need to present the ticket to take the same bus after you're cleared at the Singapore Immigration. Newton (CW bus) - Alight at Newton MRT (red line) then walk towards the famous Newton Food Centre. At the parking lot, there is a bus stop designated to go to JB. The fare is $2 and the bus conductor will give you a yellow receipt, which you need to keep to show when taking the same bus after you're cleared at the Singapore immigration. Going back to Singapore is very easy. You just need to walk towards the Immigration. After you're cleared, you can proceed to the Bus Terminal which is below the immigration. Just walk straight towards the bus bay. The same bus that you took going to JB actually has a designated stops there. You need to pay by Malaysian Ringgit (MYR) for the CW bus or use your ez-link card for the SBS buses or the AC7 bus. Based on experience, exchange rate here in Singapore is way better than exchanging in JB. I heard that money changers in Chinatown and Mustafa have a higher rate. Anyway, if you don't have time to exchange money in Singapore, you can just exchange money right outside the Immigration or the mall itself (ground level near McDonald's and on the left side of the Optical Shop). If you're a Singaporean, Permanent resident or holding an employment pass, you can go straight to the Immigration "officer less" counter. Just scan your passport and your fingerprint and you're all cleared. Just make sure you have a valid pass and passport. If you frequent Malaysia a lot of times, you can register to get MACS (Malaysian Automatic Clearance System). It's like a fast-track immigration clearance for non-Malaysian investors, business persons and professionals. Check this link for more details. Chewing gum is prohibited in Singapore but in Malaysia you can purchase it freely. Just consume it while you're in Malaysia and DO NOT bring it to Singapore. 1) Be cautious when taking a cab in JB. Some of the taxi drivers refrain to use the taxi meter and you will end up paying more. If they will not use the meter, bargain the price first before taking the cab. 2) If you're buying groceries in JB, make sure to check the list of unallowed items in Singapore. 3) Be careful of strangers approaching you. Ignore, ignore and ignore. There a lot of cases where Singaporeans are conned. Anyway, if you prefer other locations in Malaysia, I prefer that you take the plane. There's always check flights at FlightHub! great tips, your post will surely help those who are planning to visit Malaysia or Singapore. I would love to explore both of these Asian countries if given an opportunity. Thanks for the tips. Even in the Philippines, if you don't negotiate with taxi rates, will wind up paying too much. Anyway, that's good thing that prices are lower in JB. As a traveler, we should always exercise caution be aware of everything in places we travel to. That was a good trip when you know where to go to find best and cheap foods! I'm sure you had so much fun!!! I have never been to Singapore nor Malaysia, but it seems like it's a great place to go visit. It is practical to go where your money has bigger value, right? Never been to Malaysia and Singapore before, but sure am interested. 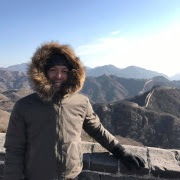 Thank you for sharing some travel tips. Sounds like and awesome trip that would be. My hubby have been to Singapore last year courtesy of their company.If I would be given a chance I would like to visit Singapore too.